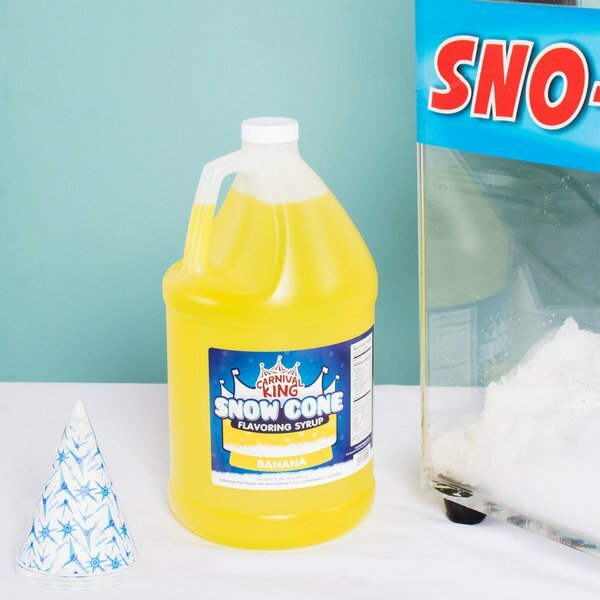 Treat your guests to sweet snow cones made with this Carnival King banana snow cone syrup! 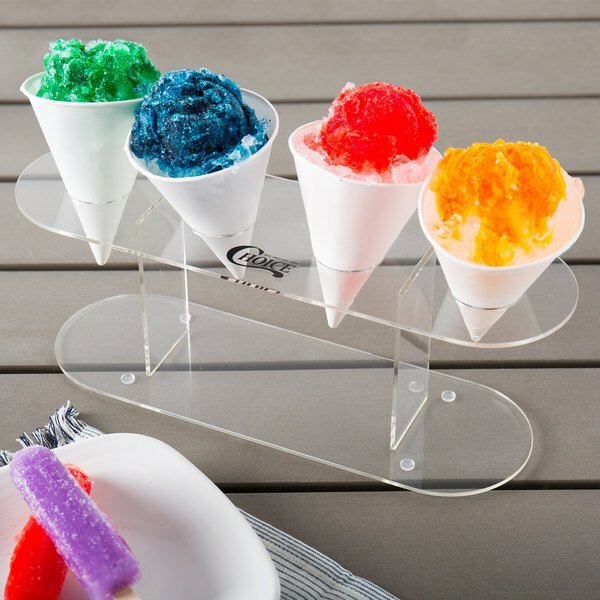 Colorful and flavorful snow cones are sure to draw customers to your concession stand or carnival cart. 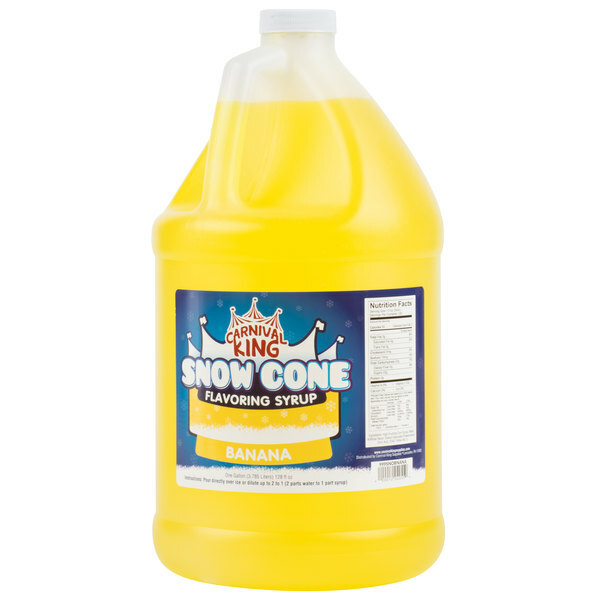 Keep up with the demand for these refreshing frozen treats with this Carnival King 1 gallon banana snow cone syrup! With the large amount of servings per container, your venue will be in good supply. Simply pair it with a compatible pump for fast, efficient service. "I am in love with the bold and retro style flavor of this banana snow cone syrup. A really nice taste and pairs perfect with our ice." This flavor combines two treats in one and provides endless possibilities! Use this sweet banana flavor by itself or pour several different flavors onto your snow cone for a whimsical look. The colors and flavors are sure to boost impulse sales. Love it! Works great as a flavoring to make banana milkshakes. So much easier to store and keep on hand than actual bananas. I've also used it to enhance the banana flavor of my banana cake! This tastes like tints candy bananas. Not a true banana but the kid loved artificial banana...as such it is one of our top sellers ?. I am in love with the bold and retro style flavor of this banana snow cone syrup. A really nice taste and pairs perfect with our ice. An absolutely amazing price on this syrup. And an incredibly generous amount - this was a huge hit at our party and we had lots to spare, but can't beat the price and shipped very well. 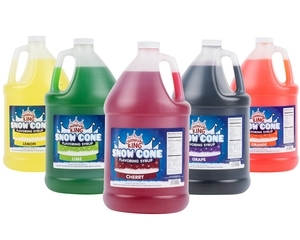 I love the price and quality of all the Carnival King snow cone syrups. They are great for our stand at the fair. 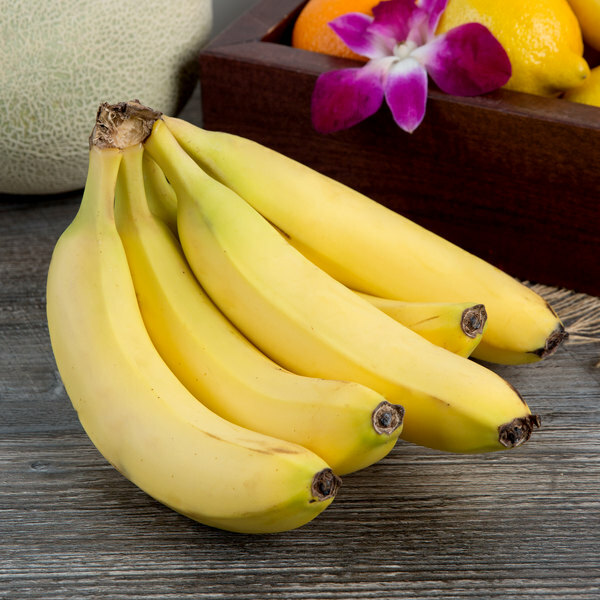 The banana has a great flavor and very similar to banana taffy. A great flavor choice. This syrup is so sweet and tastes like the most concentrated banana you've ever had. If you like that, then definitely buy this. I happen to love, love, love it! This is my personal favorite. It tastes just like a banana and it's not to strong but strong at two same time. It is a great seller for me. Yum, this one is good. It is even better when used to flavor the snow cone ice and then topped with drizzling dark chocolate syrups. 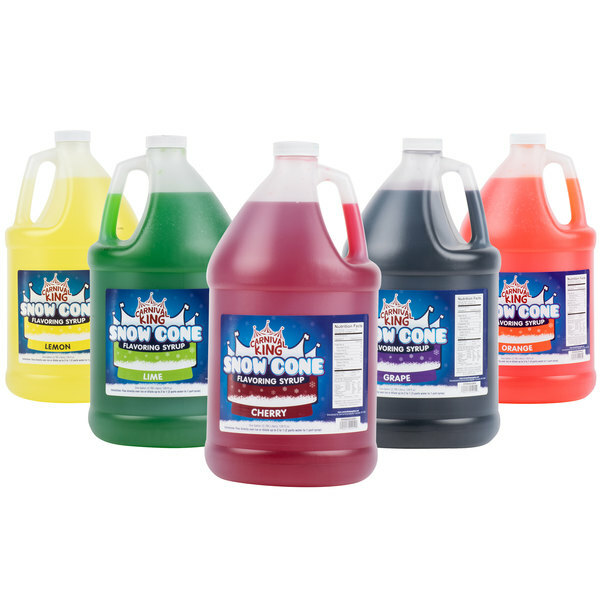 BAM Party, LLC loves this brand of snow cone syrup. While cherry and grape are our most requested for party rentals and concessions, banana is a kid favorite. It tastes like banana runts candy. We have many other flavors in this brand as well. Kids like the banana syrup on snow cones. My brother likes it so well he make a drink with soda water for a banana flavored drink.